The Sacrament of Holy Orders is the continuation of Jesus Christ's priesthood, which He bestowed upon His Apostles. This is why the Catechism of the Catholic Church refers to the Sacrament of Holy Orders as "the sacrament of apostolic ministry." "Ordination" comes from the Latin word ordinatio, which means to incorporate someone into an order. 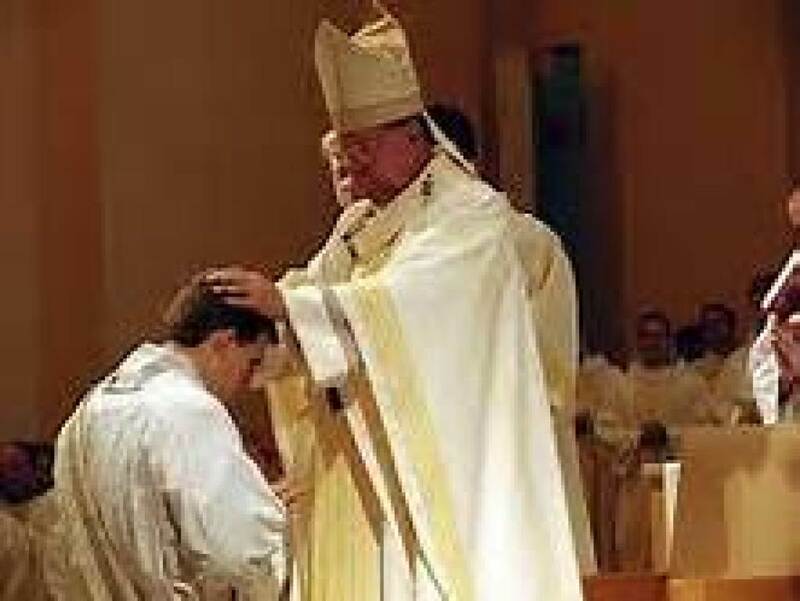 In the Sacrament of Holy Orders, a man is incorporated into the priesthood of Christ at one of three levels: the episcopate, the priesthood, or the diaconate. The priesthood was established by God among the Israelites during their exodus from Egypt. God chose the tribe of Levi as priests for the Hebrew nation. The primary duties of the Levite priests were the offering of sacrifice and prayer for the people. Jesus Christ, in offering Himself up for the sins of all mankind, fulfilled the duties of the Old Testament priesthood once and for all. But just as the Eucharist makes Christ's sacrifice present to us today, so the New Testament priesthood is a sharing in the eternal priesthood of Christ. While all believers are, in some sense, priests, some are set aside to serve the Church as Christ Himself did. The Sacrament of Holy Orders can be validly conferred only on baptized men, following the example set by Jesus Christ and His Apostles, who chose only men as their successors and collaborators. If you feel that the Lord is calling you to serve as a priest or deacon, please speak with one of our parish priests.